The lush spathiphyllum plant is one of the few flowering plants that blooms reliably indoors. 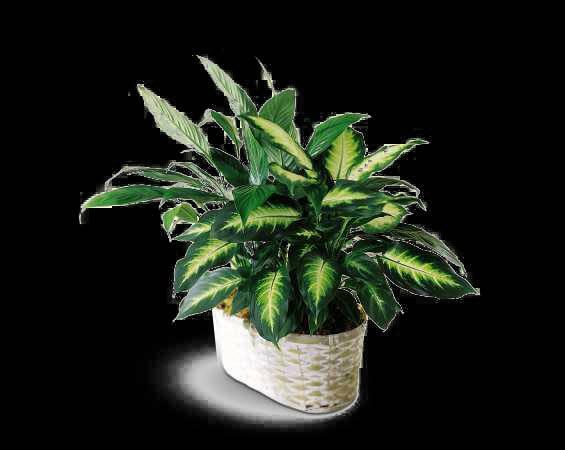 Paired with a dieffenbachia, this is a great plant gift. 10” pot.